In the words of 21st century global leadership expert, John Maxwell ‘Everything rises and falls on leadership’. By all standards of evaluation and analysis, Nigeria is a big African nation, with an estimated population of about 200 million people; one-third of this population is young people within the age brackets of 18-35 years. Nigeria is rich with abundant natural and human resources. Unfortunately and unhappily too, more than 50 years of independence, Nigeria is still struggling to be a reliable voice of reason among the comity of nations. Lack of credible leadership and good governance has been the bane of modern Nigeria. The number one problem of Nigeria according to Chinua Achebe is ‘fairly and squarely failure of leadership’. There is a huge deficit of leadership capital in Nigeria, and this has been the clog in the wheel of Nigeria’s greatness. At ICLDNG, we understand in clear terms this huge leadership deficiency, and our team of visionary technocrats and leadership gurus are working round the clock to see that we bridge this gap, and restore the lost dignity of leadership capacity in Nigeria, especially among the young people. We are driven by inspiration, motivation and passion to make a huge difference in the lives of people we meet. Our education systems need to be revamped with curriculum that are in line with 21st civilization. Since 2012, we have been committed to developing quality and innovative leaders who will make heart-centred towering impacts in their communities and around the world. We train, build, equip, and help young people to grow, and become better versions of themselves- become true gifts to themselves and the communities they serve. We are happily partnering with both local and foreign individuals and organizations to make this transformative change possible. We are deeply committed to rebuild hope and confidence among the next generation of leaders. International Centre for Leadership Development Nigeria (ICLDNG) is a duly registered non-profit leadership organization with Corporate Affairs Commission (CAC) in 2012. We are also registered with the Special Control Unit against Money Laundering (SCUML) of the Economic and Financial Crimes Commission (EFCC). ICLDNG is a Nigerian affiliate of International Institute for Global Leadership, USA. To be the foremost centre for developing highly self-motivated, proactive, effective and high integrity leaders who will foster impact and positive change in the society. To equip next generation of leaders with skills, and tools which will enable them to realize their full potentials and bring sustainable change to their communities. To organize school development projects in high schools and provide educational materials. To organize yearly events and workshops to enlighten the public on topics relevant to the activities of the International Centre for Leadership Development Nigeria. To bring Nigerian youths together through skills development programs such as leadership seminars and conferences. To provide vocational training such as New Media Technology Skills to our beneficiaries. To reduce cybercrime practices among Nigerian youths through promoting a campaign that will bring positive change. To establish partnerships with international, national and local organizations with similar goals to the International Centre for Leadership Development Nigeria. ICLDNG has an outstanding and diverse team of passionate workforce who are life-long learners. Mr. Iziomoh is the Executive Director of the International Centre for Leadership Development Nigeria, as well as Nigerian Coordinator for the International Institute for Global Leadership (IIGL) in Asheville, North Carolina, U.S.A, where he received the vision for his work in Nigeria. He holds a certificate in Social Entrepreneurship Outlook Program from the Centre for Social Initiative and Management, Chennai, India, a Certificate in Leadership Studies from Kanthari International Institute for Social Entrepreneurship, Kerala, India as well as certificate in Citizenship and Leadership Training from the Sea School in Lagos, Nigeria. Between, 2009 – 2012, he served as a Board member and in 2012 – 2013 as the Executive Secretary of the International Institute for Global Leadership, U.S.A.
Felix is presently the President of the International Institute for Global Leadership, U.S.A.
Jude Otagbo is a change agent whose leadership interest involves youth participation in politics, Policy Analysis, Data Analysis, and Program Evaluation. Experienced student Union leader and administrator, award winning parliamentarian and idealist, A joint-winner of the prestigious Osun State University Inter-collegiate Debate 2013, Jude Otagbo was a campus fellowship leader and speaker with good communication skills, a facilitator of events and a motivator. A graduate of Economics with interest in public sector Economics and policy making. 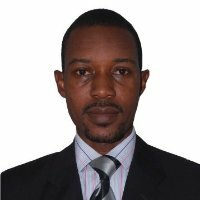 He is a Chattered Human Resource Consultant with passion for Recruitment and performance management, also a Certified Soft Skills Professional who believes in dialogue as a key to crisis management and conflict resolution, a tool he successfully deployed in resolving students-management conflicts during his undergraduate days as a Union leader. A vibrant and resourceful young man who believes that politics must not be left in the hands of politicians and the elite, a trend that has brought shame and oppression to the generality of the masses and African youths. Jude Otagbo is currently working with a private firm as an Associate consultant in charge of Administration. Looking for opportunity to explore in the public sector and impact his generation. He is passionate about Youth leadership in Africa and the world at large. Mr Balogun is a graduate of Lagos state Polytechnic, Ikorodu and holds a Higher National Diploma in Banking & Finance. He is in charge of the organization Finances and Coordinates the Community Service Projects. He is also a student of International Institute for Global Leadership. He has worked with UNICEF/N.Y.S.C as Peer Educator for life skill building program in Anambra State 2006, Global HIV/AIDS Initiative Nigeria (GHAIN) and Idemili-North Local Action Committee on AIDS (INLACA) Anambra State. Furthermore he has volunteer in different areas which includes: Hope World Wide Nigeria, Lagos State Advocacy and sensitization on HIV/AIDS. Mobilization of Adolescent for community Sensitization and HIV/AIDS Test. He has conducted a seminar on HIV/AIDS and Life Skill Camp for Orphan and Vulnerable Children (OVC). Oluwatoyin Iziomoh manages the Shift Project of the International Centre for Leadership Development Nigeria. She holds a degree in Nursery and primary education from Delta state university, Abraka, Delta state,Nigeria. She has managed Shift project for the International Centre for Leadership Development Nigeria and other projects the organization is involved with. In January 2018, she attended the United Nations 56th Commission for Social Development #CSocD56 in New York with the theme ‘Strategies for eradicating poverty to achieve sustainable development for all’. Omadudu Josephine is a Deltan who studied Human Anatomy from the Delta State University.A certified customer service personnel, a licensed cabin crew member, a voice over artist and a domestic cosmetologist. She have attended series of leadership trainings hence can double as a great team player and a team lead. She’s a humanitarian that works with different NGOs like the International Center for Leadership Development Nigeria (ICLDNG) and also a partner with CreativeGem Academy Ltd on content development and Entrepreneurial projects. She like singing, dancing, traveling, reading and counseling. Aishatu Ibrahim is the MD/CEO of Naisha Smart Technologies (NST), she loves to explore and embrace new challenges in life. She is an Educator, Motivator, Public Speaker, and Social Agent for positive change. She is a youth ambassador for Peace and an advocate for women, children and human rights issues in Nigeria. She volunteers and serves on the Boards of several Non-Governmental Organizations, including Teachers without Borders, New Era Educational and Charitable Support Foundation (http://www.needcsi.org/advisory-board), among others. She is a member of the Nigerian Women in Information Technology (NIWIIT). She has made paper presentations at several International and National Conferences on Education, Information and Communication Technologies (ICT), Interfaith Dialogue and Peace building, Women and Girls Empowerment, MDGs. Ann is a project manager, an administrator and an advocate of human dignity. A graduate of Foreign Languages from the University of Benin, Benin-City, Edo State, a member of the Project Management Institute (PMI), a member of the World Youth Alliance (WYA), a United Nations’ Online Volunteer, A volunteer mentor with UR4AFRICA, Ann has demonstrated a passion for the course of human dignity by undertaking various community development projects which has earned her commendations at the federal and state level. She is a co-founder of the Humanity Thrust International Incorporated, and she currently works at Continental Broadcasting Service Limited. Tamunotonye, holds a degree in computer science from Rivers State University of Science and Technology. Also, a diploma in Network Engineering from National Institute of Information technology. Have held free computer training in community secondary schools in Port Harcourt as an undergraduate. He has taken several cyber safety courses online. Tamunotonye serves as the coordinating officer for the Safer Internet Day and Cyber Security Programs in South – South for ICLDNG. The International Centre for Leadership Development Nigeria is governed by experienced and dedicated advisory board. Grace O. Otinwa earned her Ph.D in the field of Exercise Physiology. She is a Professor and the immediate past Acting Head of the Department of Human Kinetics & Health Education, at the University of Lagos, Akoka, Lagos, Nigeria. She has been lecturing for more than 21years. She is a Consultant on issues that relate to health, exercise prescription and fitness. She has worked in this capacity for Federal Ministry of Health/ World Health Organization, United States Agency for International Development (USAID) and GlaxoSmithKline Consumer Nigeria PLC. She facilitates health talks in workshops and seminars in institutions of learning and faith based organizations. She is a researcher and has presented her research findings and reports at national and international conferences which have earned her some awards. As an author, she has written books, several chapter contributions, local and international journal articles. She is a member of some professional organizations. She is also a member of the International Council for Health Physical Education, Recreation, Sports and Dance (ICHPER.SD), U.S.A and the Secretary for Africa Region. She is involved in community services both within and outside the university. She is a member of the Governing Council of BOWEN University, Iwo, Osun State in Nigeria, External Examiner in some Universities and Board Member of some schools. For many years Andras has supported the teaching and training of the Future Leaders of the world, both financially and as a mentor. He is especially supportive of the International Centre for Leadership Development Nigeria, which is associated with the International Institute for Global Leadership U.S.A, which has a long string of Leadership successes locally and nationally in several countries. Andras is an Art Photographer, is now working on his second book of photographs called “Angels of Water”. He is also the founder of The Council of Healers, The Pendulum works, The Crystal Master Gallery and the First Global Sacred Geometry Conference. Andras is an author, photographer, teacher, and businessman educated in the United States and is now living in Europe. My background includes having taught Spanish in the New York City high school system, having coordinated micro-creditprojects based on the credit – model of the Grameen Bank in Bangladesh and having served as the USA Servas Alternative Representative to the United Nations. My volunteer activities have included working with the International office of Habitat for Humanity, Amnesty International and Lucius Trust. She is the founder of Bridges of Peace in New Mexico,USA, providing facilitation, training, mediation, and communication coaching services. She serves on the Board of Directors of the International Institute for Global Leadership. Kathleen has been a trainer in communication and leadership skills for over 35 years, working with institutions and in the private sector. She has received over 250 hours of training in conflict resolution and related skills, and has created, co-designed and delivered many trainings in mediation, facilitation and conflict-free communication. In 2004, she authored “Create a Better Tomorrow – Conflict-free Communication Skills”, and has delivered that training to many businesses and non-profits statewide. Kathleen presented this training to over 40 participants at the IIGL / ICLDN international conference in Lagos , Nigeria on March 2, 2013.. In 2008, she co-authored “Facilitating with Finesse” – a 5-day facilitation training, which she presents each year, and as requested.